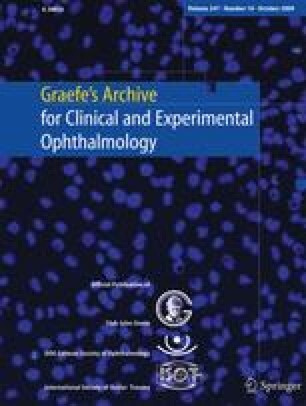 To evaluate Rheopheresis for the treatment of patients with high-risk dry age-related macular degeneration and no therapeutic alternative. Rheopheresis is a method of therapeutic apheresis using the methodology of double filtration plasmapheresis to treat microcirculatory disorders. The dry AMD treatment with Rheopheresis trial (ART) was a randomised, controlled clinical study. Patients with the diagnosis of AMD in both eyes, with the study eye presenting dry AMD and soft drusen (the fellow eye had advanced AMD) were randomly assigned in a 1:1 ratio to receive ten Rheopheresis treatments within 17 weeks or to remain untreated. The primary outcome was change in best-corrected ETDRS-visual acuity (mean logMar change) after 7.5 months compared to baseline visual acuity for both groups. Forty-three eyes of 43 patients (22 treatment and 21 control group) were analysed. The mean baseline BCVA in study eyes was 0.58 in the treatment group and 0.66 in the control group (n.s. p = 0.19). At the primary efficacy endpoint 7.5 months post baseline, there was a statistically significant mean difference of 0.95 ETDRS lines (p = 0.01) between the Rheopheresis and control groups. Nine percent of eyes in the group treated with Rheopheresis gained 2 or more ETDRS lines, as compared with 0% of eyes with no treatment. None of the treated patients had a loss in visual acuity in their study eyes, as compared with 24% of patients without treatment who lost 1 ETDRS line or more; 19% lost 2 ETDRS lines or more. Rheopheresis treatment was safe and well-tolerated. The results of ART provide further evidence that Rheopheresis is a safe and effective therapeutic option for high-risk patients with dry AMD and no therapeutic alternative. A series of Rheopheresis treatments can improve the natural course of AMD for selected patients. We thank the following experts for their advice and comments: Prof. Brunner, Prof. Engelmann, Prof. Kirchhof, Prof. Koch, Prof. Nasemann, Prof. Schölzel-Klatt, Prof. Walter.